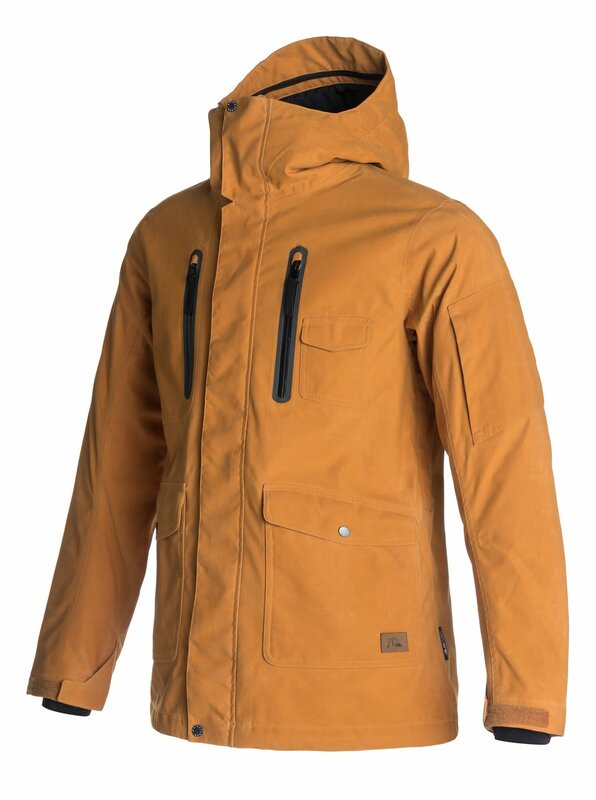 With a versatile modern look influenced by urban styles, the Dark And Stormy snow jacket's longer, straighter cut has been tailored with 15K Quiksilver DryFlight® technology for durable waterproofing in wet and snowy conditions. Featuring 3M® Thinsulate's® Type M insulation for powerful bulk-free warmth, the fully-sealed seams offer all-over protection and mesh lined underarm vents let you refresh when your temperature rises. 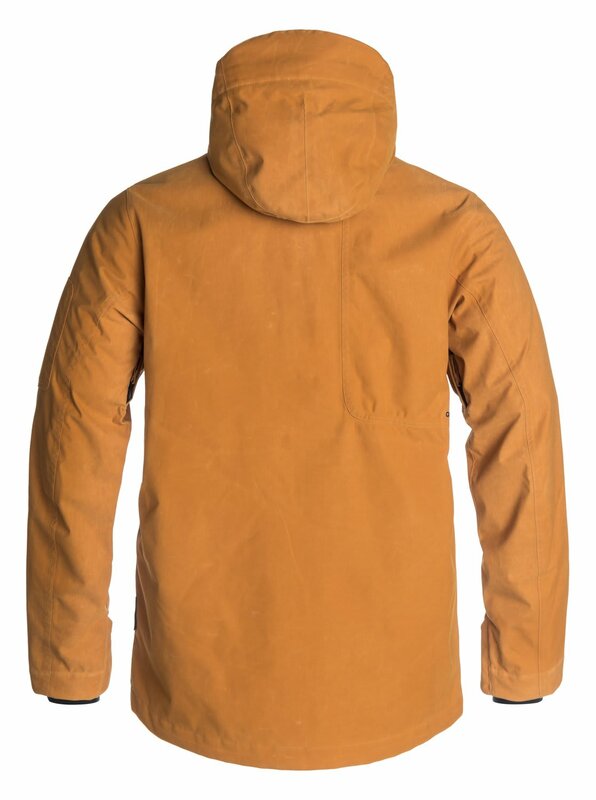 The materials are somewhat rugged (sort of feels like a Carhart jacket) and the tailored fit makes it work as a more casual jacket from a style perspective. On and off the mountain, it's extremely waterproof, breathable, and overall exactly what I hoped it would be! Does the front pockets are for warming hands or are they just like for storage? It's because in the pictures I can't appreciete if I can insert my hands in those pockets like from side direction! can the hood be folded or zipped in or is it always loose/out.? it says 2-way adjustable. BEST ANSWER: The hood cannot be folded up or removed. 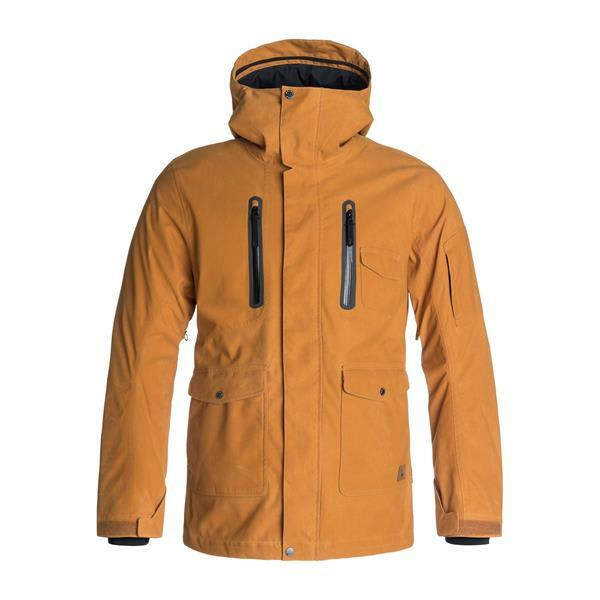 2-Way adjustability means that the hood has pull synchs. One that adjusts around the face and the over around the crown of the head. cannot be folded in. nice jacket a bit too form fitting for me tho. Hate to bother you again but what does it mean when it says 2-way adjustable Hood? In the picture the "black" looks more olive colored. Is this an illusion? Also does this fit on the big or small side? The Black color is kind of cool - like a sun faded black that has a waxed style coating. As for it, it's tailored - not too snug and not too loose. Is this helmet compatible hood? BEST ANSWER: You'll be able to throw this hood over your helmet, though it does catch slightly. Is the 40g 3M Thinsulate insulation enough to keep me warm/hot without using base layer during my snowboarding sessions? BEST ANSWER: 40g is great for mild conditions, but is great for base layering. 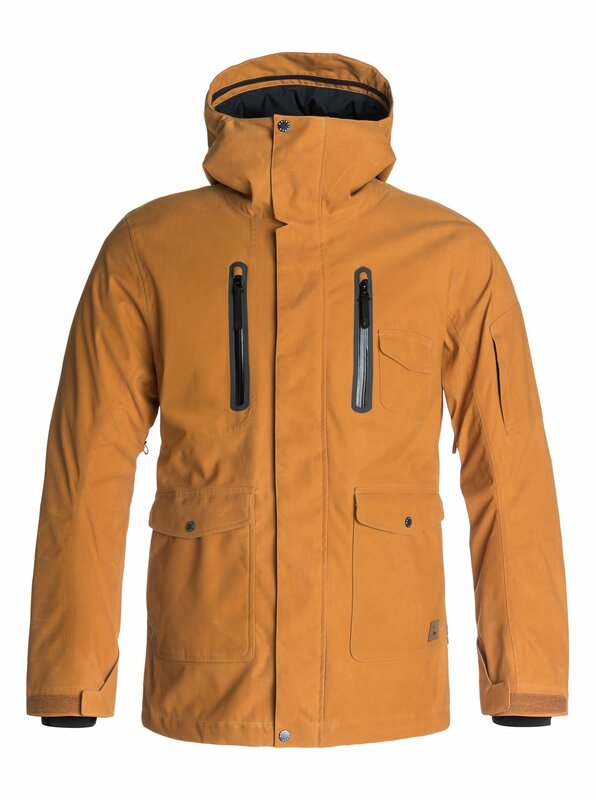 You will want a more insulated jacket for those cold days.